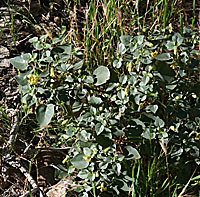 Chamaesaracha conioides, Five Eyes, growing in disturbed ground at the south end of the Franklin Mountains near El Paso, Texas, elevation 4,500 feet. 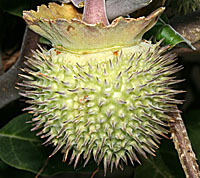 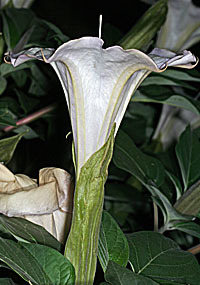 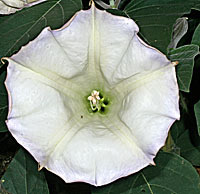 Datura wrightii, Sacred Datura, growing on the banks of an arroyo, west Sandia Mountains, 6,000 Feet, August 23, 2006, following record summer moisture. 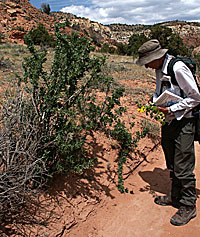 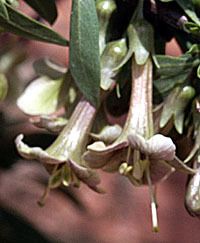 Lycium pallidum, Pale Wolfberry, growing on sandy ground at Ghost Ranch, central New Mexico, 6,800 feet, May 7, 2003. 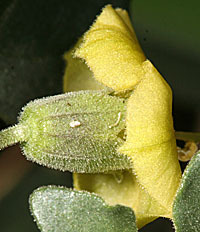 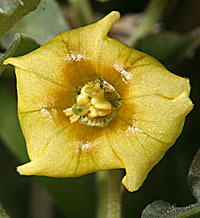 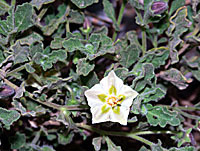 Yellow Nightshade, Physalis crassifolia (bladder, thick foliage), growing on a sandy bench in Mosaic Canyon, Death Valley, California, 1,520 Feet, March 16, 2007. 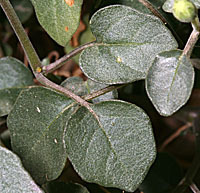 Plant height 20cm., leaf length 20 mm, leaf width 19 mm, leaves alternate single or double from stem nodes. 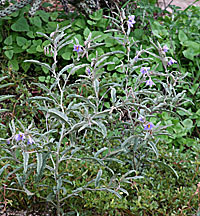 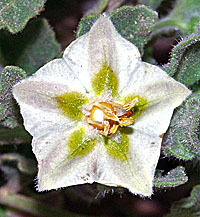 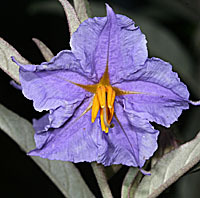 Solanum elaeganifolium, Silverleaf Nightshade, growing on gravel outwash from Sandia Granite, west side of the Sandia Mountains, elevation 6,000 feet, following a very wet summer, August 23, 2006. 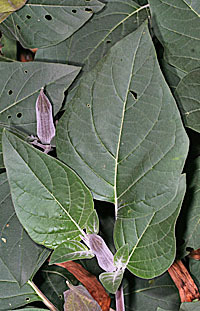 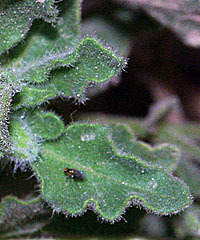 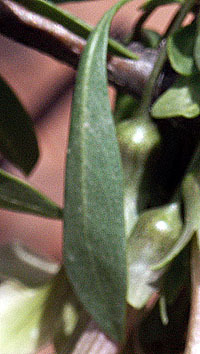 Plant height is 48 cm. 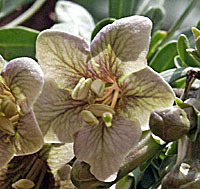 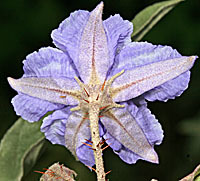 , prickly stems, leaves alternate, all stem, length 67mm, width 13 mm, flowers purple, 5 united petals, flower width 33 mm.